The City of Marina, where Monterey Language Services is headquartered, is the 7th largest multilingual city in the United States. 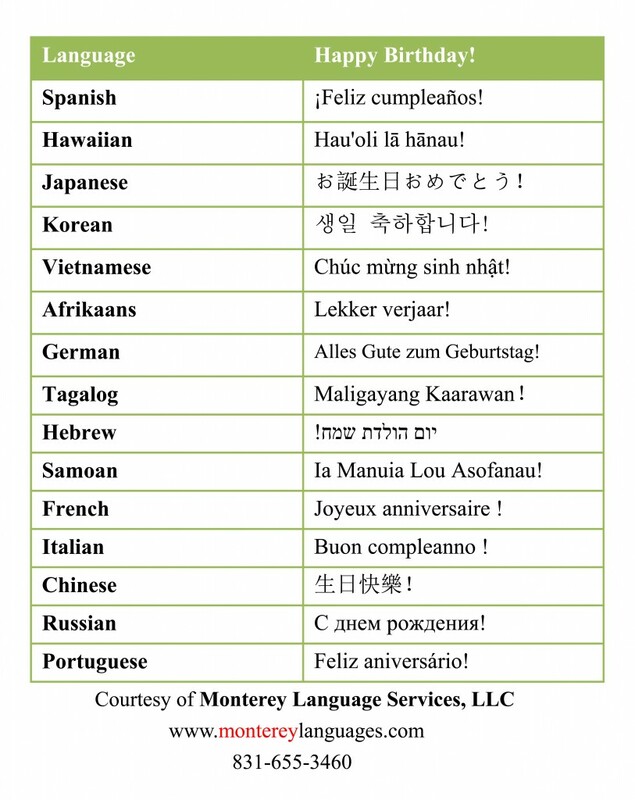 On its 35th anniversary, we would like to wish the City a Happy Birthday in the following languages: Spanish, Hawaiian, Japanese, Korean, Vietnamese, Afrikaans, German, Tagalog, Hebrew, Samoan, French, Italian, Russian, Chinese, and Portuguese. 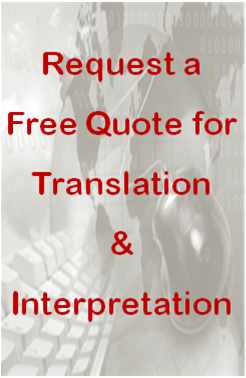 Thanks to our many translators who responded quickly to contribute to this special occasion. Happy 35th, City of Marina!